The club was to experience the highs and lows of footy like never before in seasons 2015 and 2016. 2015 season got off to a perfect start. Great numbers on the track pre-season, new Under 19s coach Matt Franich had managed to pull together a team in time for the opening round. And the seniors opened their account with a percentage-building 13-goal win over Richmond Central. The Hoes shot to the top of the ladder and the Amateur Footballer’s D2 columnist had us pegged for a top four finish. Solid wins by the reserves and Under 19s reinforced that early confidence that it would be our year. 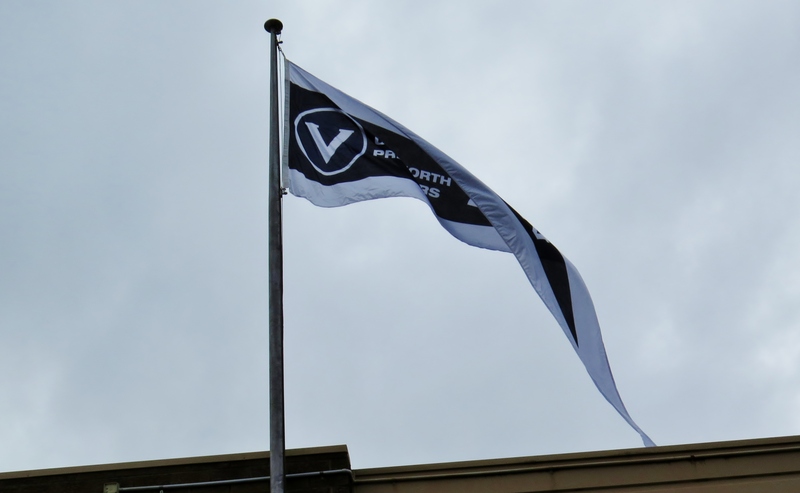 It was with great pride that the club unfurled the under 19s (North) premiership flag over the Ivanhoe Park pavilion for the first home game in Round 2. 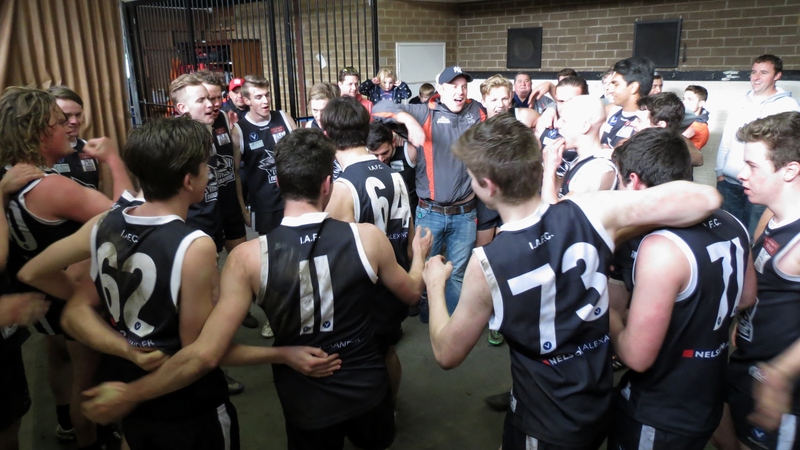 This was a triple-header, with the Under 19s winning a thrilling opener against UHS/Flemington. The Under 19s won by 2 points after Cameron Simpson goaled with 30 seconds left on the clock. The ressies flogged South Melbourne by 213 points (36.23 to 4.2) – a club record high score – Ben Grigg kicking 10 goals. And the seniors went on to smash South by 164 points, with 13 goalkickers. Chris Traeger bagged a career-best nine straight. Round 3 was on Anzac Day, which was also the centenary of the Gallipoli landing. The club delivered a solemn and moving tribute to the Anzacs of Ivanhoe. Teams lined up in front of the pavilion before the game and club president Luke Blackwood read the names of players who had made the ultimate sacrifice. A bugler sounded Last Post from beneath the giant old gum tree behind the Heidelberg Rd goals and the crowd uttered the remembrance phrase, Lest we Forget. The Hoes won the match of the round against its bogey side Old Eltham by a soldierly 24 points, and the Blackmore-Moore brothers Keke and Reuben were in the vanguard for a combined six goals. 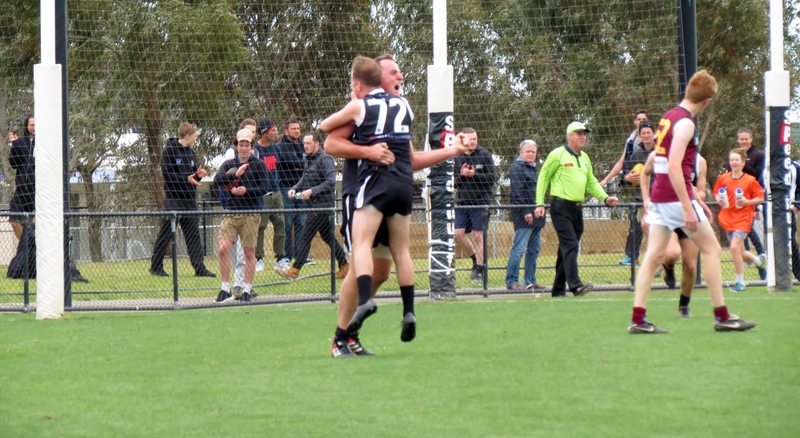 Unders 19s player Reilly Connell provided a highlight worthy of Almost Footy Legends in Round 6 when he kicked a 50m goal on the burst that bounced through just before the siren to deliver victory against Williamstown CYMS. Round 7 was another highlight when the club played a triple-header against Old Paradians at the Garvey Oval. 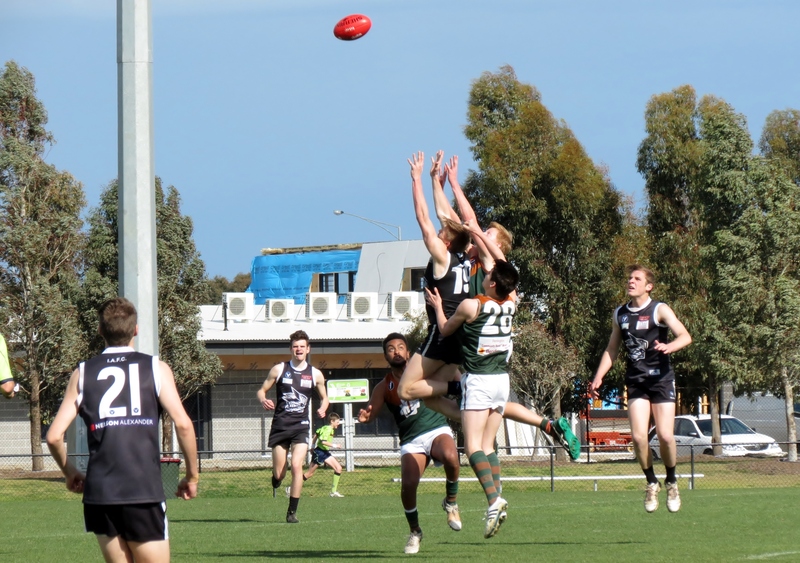 The Under 19s set the tone early with a 70-point win – ruckman Varun Naidu was best afield and equal top-scored with four goals along with full-forward Sam Aanensen. 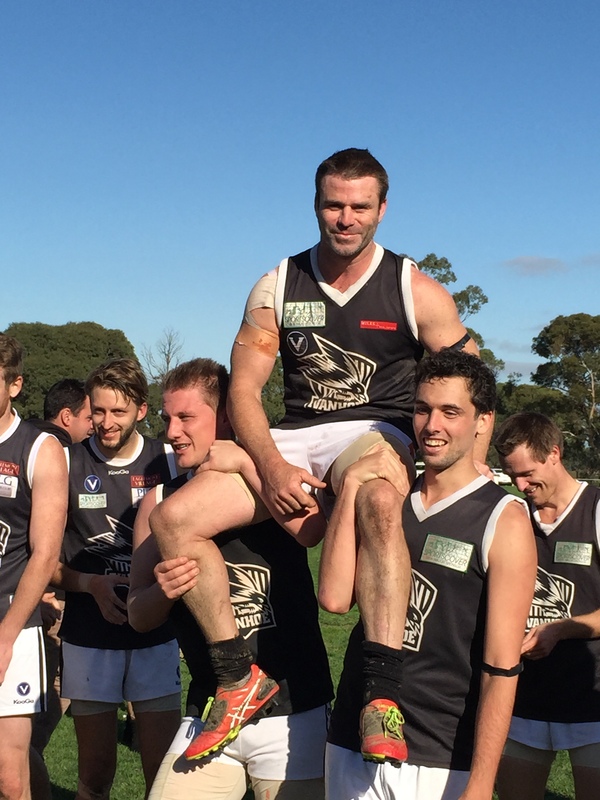 The ressies gave former coach Steve Graeme a memorable 50-point win for his 150th and final game for the club. After a decade at Hoe Park, ‘G-Money’ had decided to play Super Rules. The seniors found an extra gear in the final quarter to prevail by 26 points. The Seniors broke a long standing drought by beating Old Paradians at the Garvey by 26 points. Making headlines in the Heidelberg Leader, 26 May 2015. 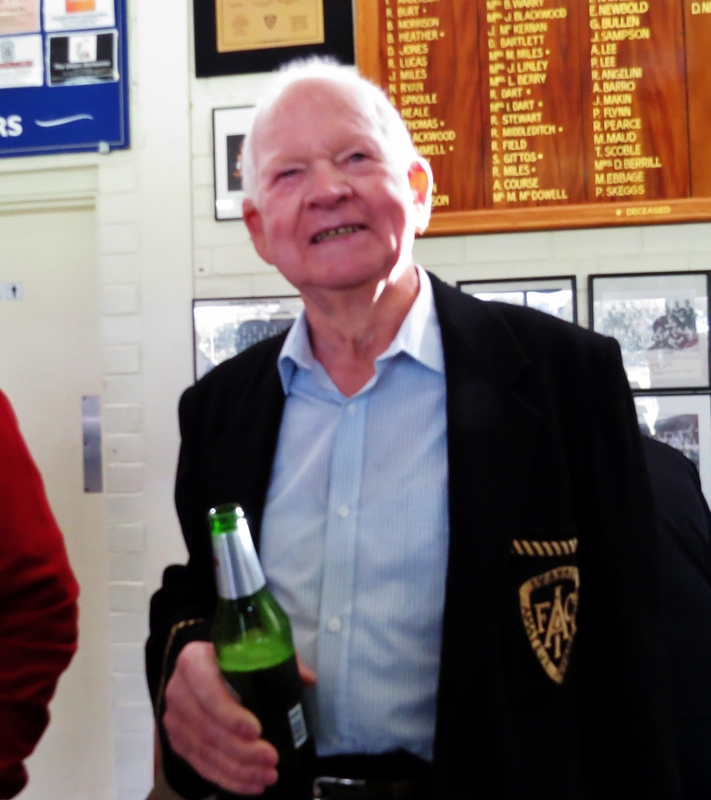 Round 8 saw veteran player David Neilson bestowed with life membership at a Black & Whites and player reunion luncheon. At the halfway mark, the club had great momentum. The seniors, ressies and Under 19s were all on top of the ladder. 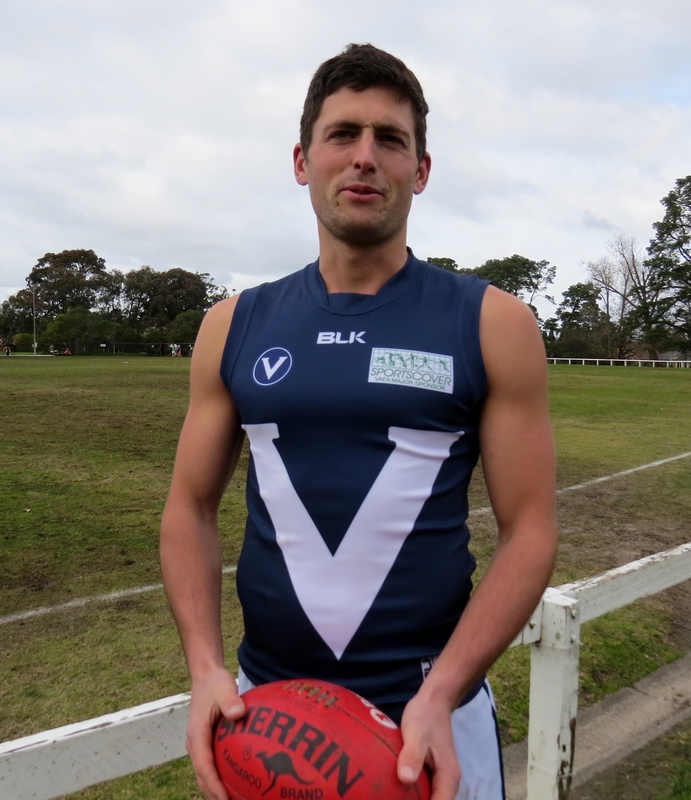 The club was second in the VAFA club championship, even though Travis O’Neil’s Club 18s were struggling. The seniors had disposed of undefeated side St Johns to take top spot in a brutal Round 9 match at Doveton. A 10-goal third quarter was considered one of our finest efforts to date. And to cap it off, senior vice-captain Tom O’Donnell was named in the state team (B-D4) to take on Vic Country on July 12. He became the 57th Ivanhoe player to represent the Big V. He would also be chosen to play for the Vics on a tour of Ireland post-season. Off the field, the club was enjoying great support. Nelson Alexander Real Estate were our major sponsors again, with other sponsorships coming from Barr’d Wine and Tapas bar in East Ivanhoe, the Harp of Erin Hotel in Kew, Eaglemont Village, Bendigo Bank, PLG Premium Lending Group, Foodworks, Crust pizzas, Ivanhoe Copy Centre, James Boags, Vyve cafe, and Deck it Out decks and pergolas. Prizes were donated by these and other sponsors for a silent auction held at the inaugural mid-season ball on July 25 at Ivanhoe Town Hall. It proved a great success, in no small part due to the organisational skills of the social committee led by Belinda Galloway. The proverbial lid was well and truly bubbling by Round 11. 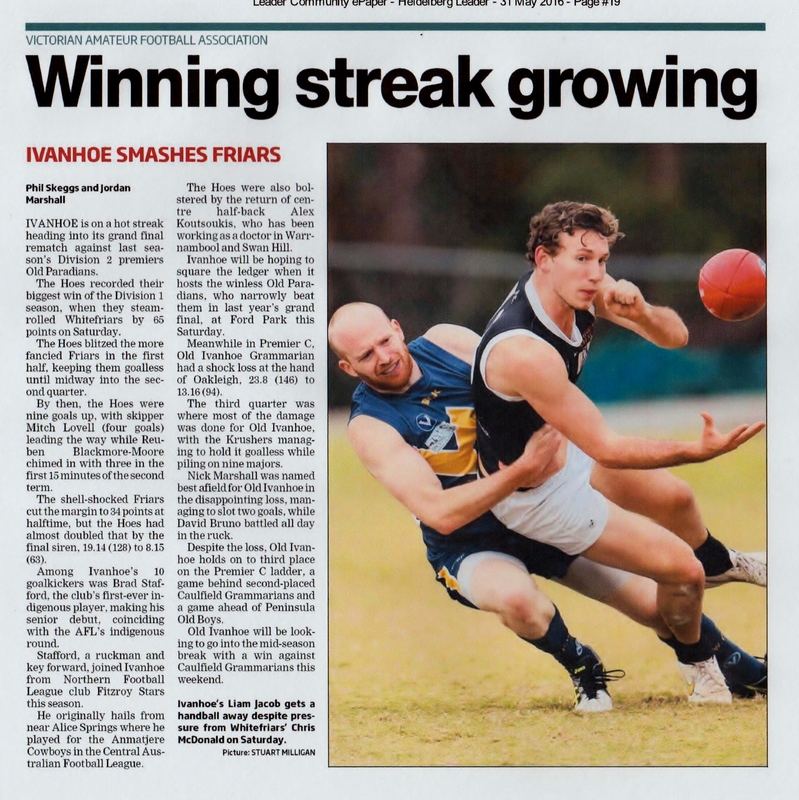 Ivanhoe was being described in the footy record as a “juggernaut” and “destined for promotion”. We squared the ledger with Northern Blues that week. The Blues had pinched a game off us by a goal earlier in the season. 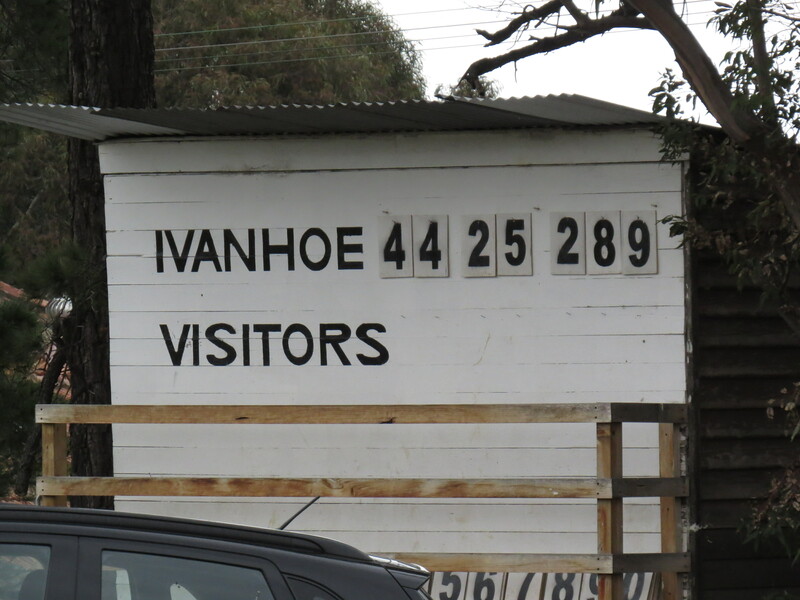 They didn’t even get close at Fortress Ivanhoe – the red-hot Hoes smashed the Blues by 85 points. 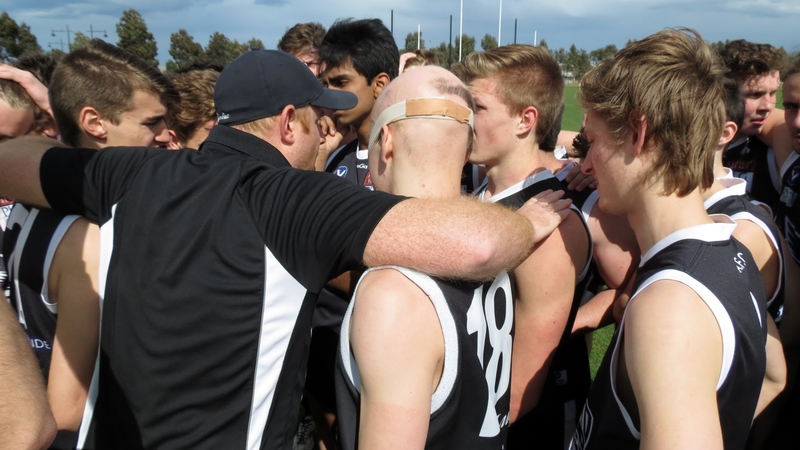 A three-point loss to MHSOB on a muddy school oval provided a timely wake-up in Round 13. The following week the Hoes faced a much sterner challenge against local rivals Old Paradians. Down by 21 points at the final change, the Hoes stormed home with six goals to one to win by 13 points. 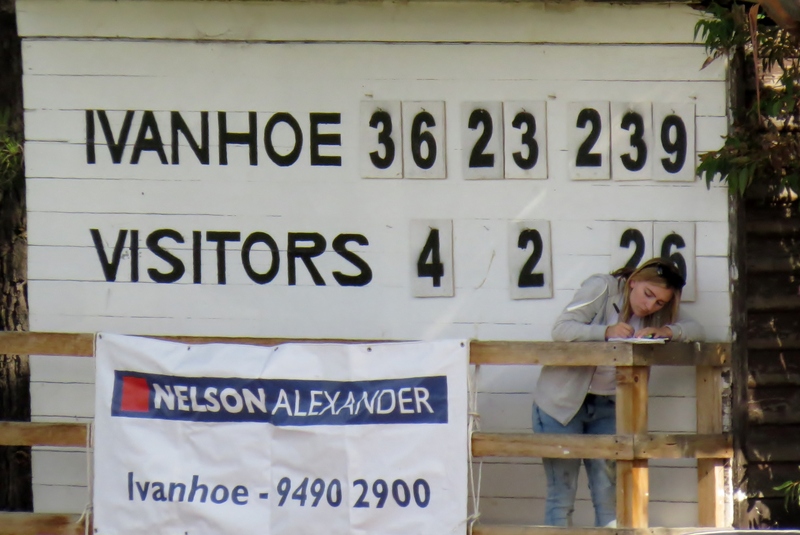 Ivanhoe remained unbeaten at home. 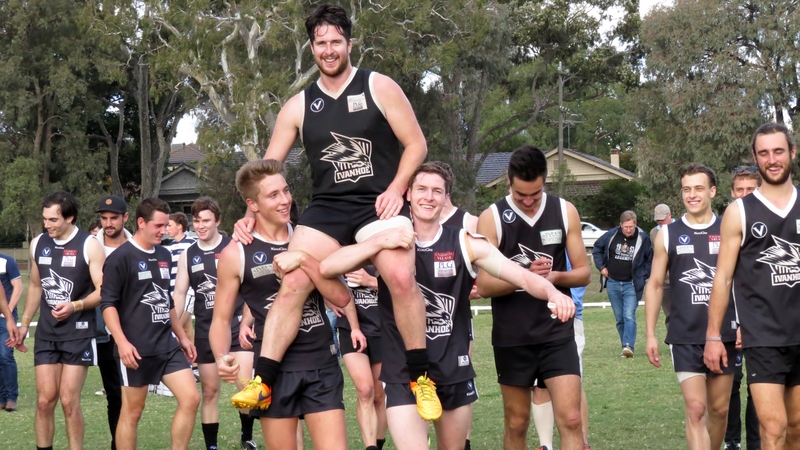 Round 15 against Monash Gryphons was memorable for a couple of reasons. 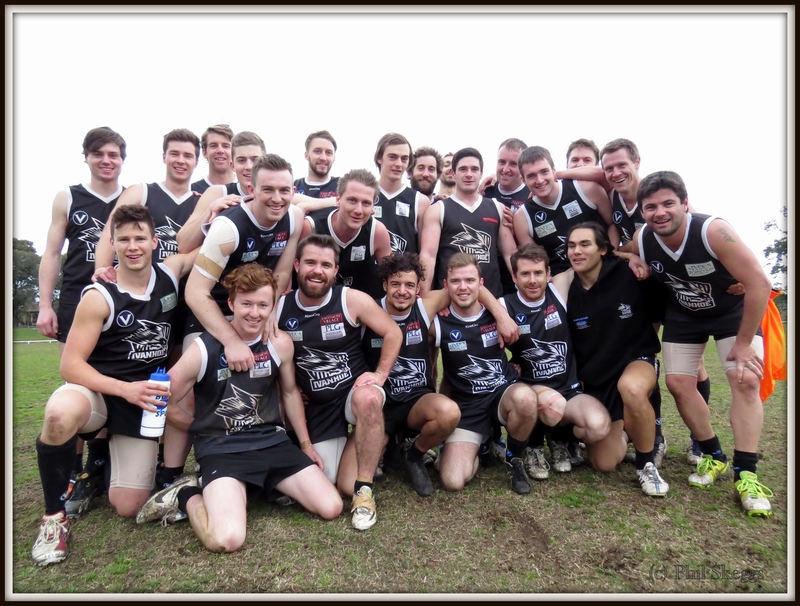 The reserves posted a club record high score of 44.25 (289) to Monash no score. The Gryphons only had 17 players and the Hoes had 17 goal kickers – centre half-forward Ryan Smyth topped the list with 12. The result also eclipsed the club’s previous highest margin, which was 223 points against Elsternwick reserves in Round 3 in 2014. The club was definitely flavour of the month. State rep Tom O’Donnell had the rare honour of gracing the cover of the Amateur Footballer on August 15. Inside were full-page action pics of backman Will Cuthbert and ruckman Mali Jacobs. The scene was set down for a major showdown between the two top sides when St Johns came to Ivanhoe Park in Round 17. The Hoes jumped St Johns in the opening term, scoring seven goals to one, and cruised to a 43-point win to secure the minor premiership. There was more kudos when the Amateur Footballer named its Division 2 Team of the Year. Paul Harris was named coach of the year and Cuthbert (back pocket), O’Donnell (full back) and Lovell (centre half-forward) were all in the line-up. A 29-point win over fourth-placed Old Eltham in Round 18 put the Turtles’ seniors out of the finals race for the first time in five seasons. It was extra-sweet as the Hoes weren’t tipped to win and had never previously saluted on the Turtles’ home ground. In another first for the club, the seniors, reserves and Under 19s all finished as minor premiers. Ivanhoe’s reserves smashed Old Eltham by 73 points, while the Under 19s steamrolled Williamstown CYMS by 71 points. Under-19s full-forward Sam Aanensen finished atop the Colts division goal kicking table with 47 goals. The Hoes’ seniors went into the second semi-final against St Johns as warm favourites, but copped some serious heat from the Saints. Playing at the St Bernard’s College Oval in Essendon, the Hoes held a 25-point lead at half time. St Johns fought back in the third term to close the gap to 17 points by the final change. Ten minutes into the final quarter the Saints had cut the margin to just five points. The Ivanhoe backmen held their nerve and the forwards eventually restored the buffer with five goals to win by 28 points. Reuben Blackmore-Moore top scored with six goals, while onballers Glenn Francis and Lew Minney were best afield along with Lovell (four goals). There were ecstatic scenes in the rooms afterwards as the Hoes celebrated a grand final berth and automatic promotion to D1. 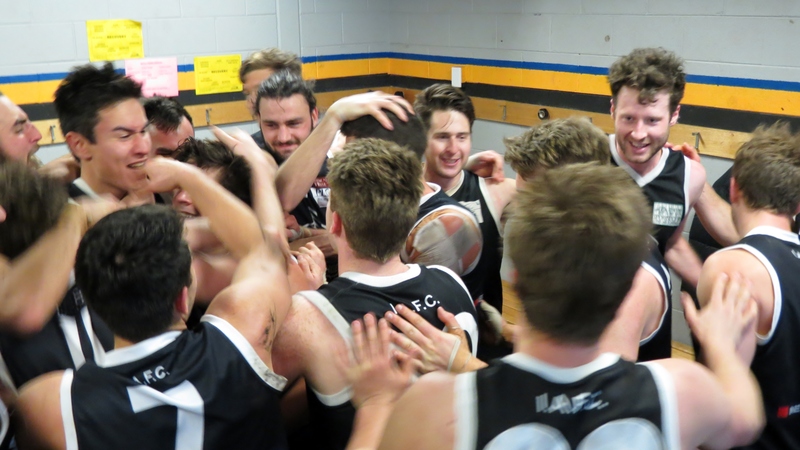 Ivanhoe’s reserves and Under 19s also won their semi-finals, making it the first time since 1977 that the club had all three teams into grand finals in the same season. 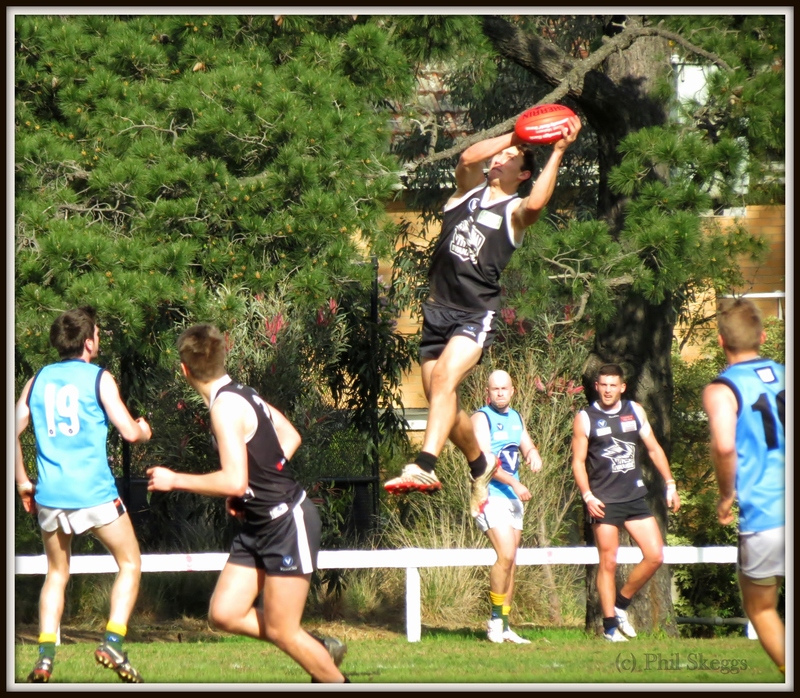 The Under 19s had downed UHS-VU/Flemington by 22 points at Ivanhoe Park. The reserves held out MHSOB to win by 23 points. 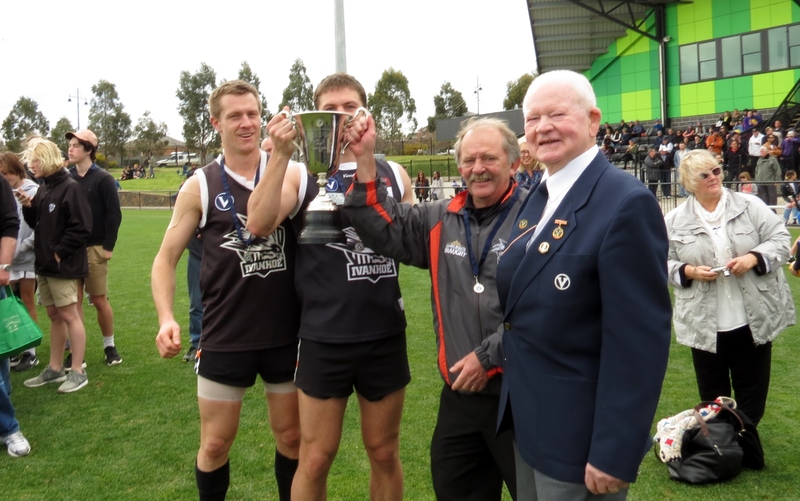 The VAFA scheduled the historic triple-header for Saturday September 12 at Highgate Reserve in Craigieburn. Hoes made errors trying to deliver the ball out of the back half. The uni combine had a 33-point lead by half-time and that had only been cut to 28 points by the final change. The combine went on to boot six goals in a one-sided final term. Best players were Max Post, Sam Aanensen and Aidan Amenta. 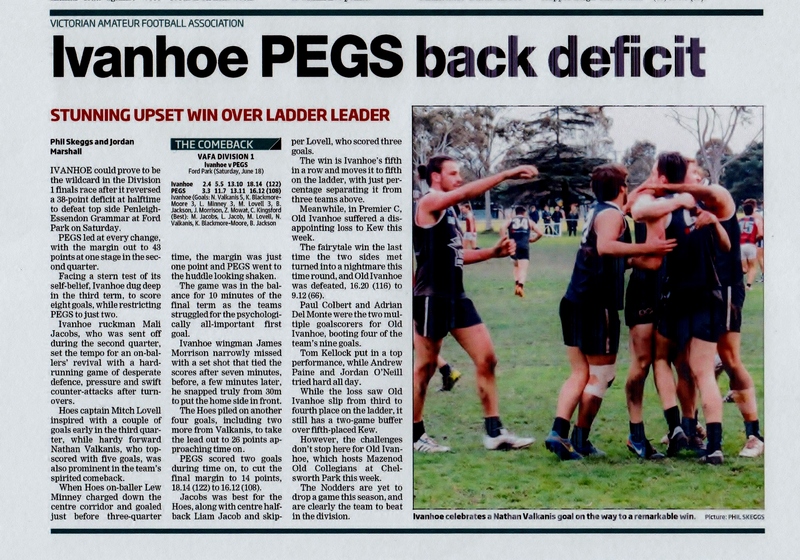 It was a different story for the reserves, who kicked a couple of precious goals into the gale in the opening term and held on for a nail-biting 8-point win over MHSOB. Final scores were Ivanhoe 8.8 (56) to MHSOB 6.12 (48). Back flanker James Morrison was best-on-ground and veteran ruckman Harry Post was the only multiple goalscorer with two majors. 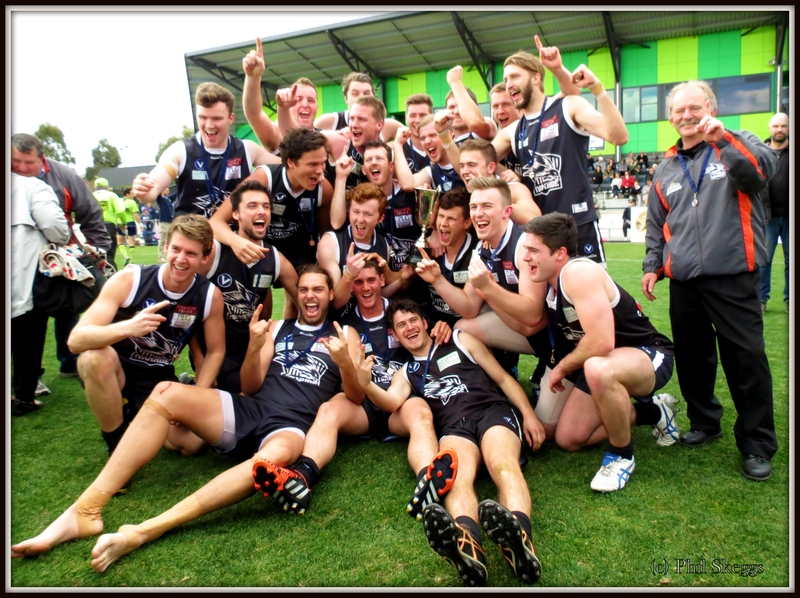 This was the reserves’ first premiership since 1987 in B grade. Three players Will Emerson, James Lagreca, and Sam Batterton had the rare distinction of being dual premiership players, having played in the under 19s premiership in 2014 under coach Bill Emerson, who was now a dual premiership coach. For a few older players including Post, David Neilson, Luke Vaughan, Ryan Close, Jack Garth and Daniel Adams, it was a fairytale ending to lengthy playing careers. Like the under 19s, the seniors also kicked with the gale in the opening term and struggled with the same difficulties trying to convert early chances. Old Paradians adapted to the wind defensively very quickly – it suited their style to hit the boundary and lock down the stoppages at every opportunity. At quarter-time, the Hoes led by 9 points, 3.4 to 2.1. At half time, the Raiders were up by 7 points, 5.2 to 3.7. The Hoes needed a big third term, but goals again proved elusive. The Raiders were up by 4 points, 6.3 to 4.11, at the final change. Ivanhoe coach Paul Harris urged his troops to try and regain control at the stoppages. There were a few chances for goal and when Lew Minney threaded the big sticks at the 15-minute mark, the margin was just three points in the Raiders’ favour. The young Hoes looked to have momentum but conversion was still a problem into the gale and opportunities went astray. The Raiders steadied with late goals to win the flag by 15 points, 8.10 to 5.13. Best players were Justin Harty and Lachie Roberts and Minney, who was the only multiple goal kicker. The club had missed another chance to break that senior premiership drought, but at least we were returning to a higher division in 2016. The last time the Hoes played in D1 was in 2003. 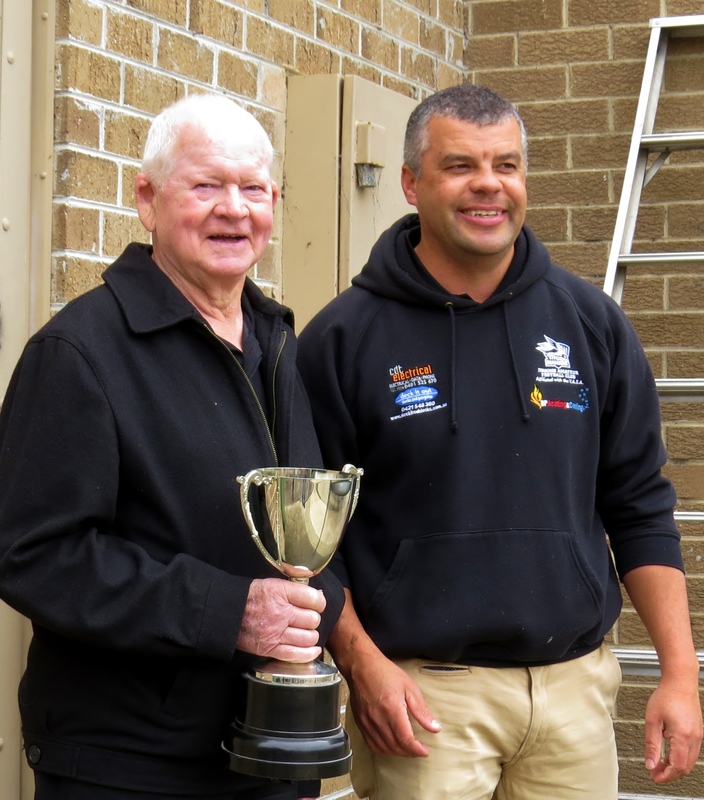 The John Miles Award for best clubman went to Tom O’Donnell, the Tim Robinson Award for outstanding service to both Ivanhoe Amateur Football Club and the Ivanhoe Junior Football Club went to Mitch Lovell, and the Black & Whites coterie group awarded the annual Harry Award to Phil Skeggs. A month later, senior coach Paul Harris was reappointed with assistants Adam McBrien, Ben Galloway and Matt Joyce. Bill Emerson also continued as reserves coach. Former ruckman Ryan Fort also joined Harris as an assistant coach. Matt Franich stepped down as Under 19s coach and the club was unable to find a replacement. This had consequences in 2016 when the club learnt that neighbouring clubs Heidelberg and Old Ivanhoe had recruited most of our former under 17s players from 2015. The club was facing several challenges on the eve of 2016. 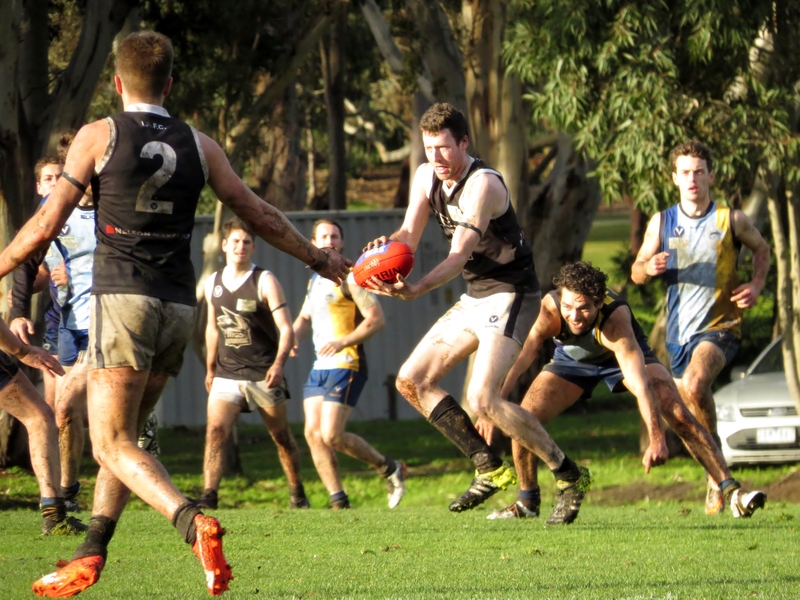 Numbers were below average at pre-season training – there had been several player retirements in the seniors and at least a dozen from the reserves premiership team. Injuries and overseas travel were also factors that affected player numbers. A decision to increase player subs for the first time in many years deterred some players. The club couldn’t afford to field a Club 18 team, and an inability to find a suitable coach to replace Matt Franich meant we were without an Under 19s team. But it was the relocation to Ford Park in West Ivanhoe after Round 3 because of the long-awaited redevelopment of the Ivanhoe Park pavilion that hurt our bottom line. Relocation had adverse ramifications for club fund-raising efforts, particularly after home games, because the Ford Park rooms weren’t suitable for social functions such as luncheons. Heidelberg Leader, 10 May 2016 noting our temporary home at Ford Park. On the plus side, the club was fortunate to have generous sponsors such as Nelson Alexander Real Estate and Barr’d Wine and Tapas Bar on-board again. The club also won $2000 worth of gym equipment through a promotion at the Ivanhoe Fitness and Aquatic Centre. 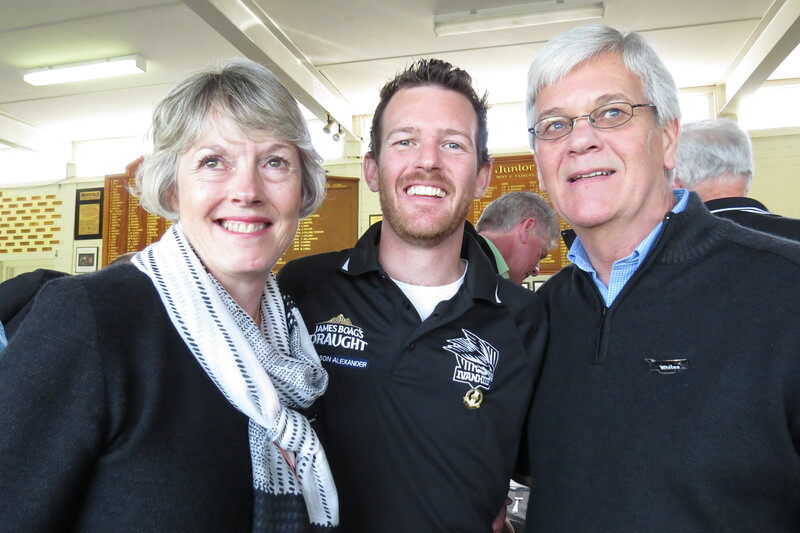 The club’s administration received a boost when Collingwood FC archivist Peter Marshall joined our ranks pre-season. Peter, who became acquainted with the club through Phil Skeggs. Andy Moore also took on the important role of match-day coordinator, ensuring all key volunteer jobs were covered. He also accepted the role of coordinating the development of the club’s inaugural women’s team for season 2017. The Hoes’ main goal as a team was to consolidate in D1 division. To avoid any threat of relegation we needed to win at least six games by the half way mark of the season. And that was achieved. After Round 9, we had won six and lost three and were sitting in sixth spot. By comparison, our grand final nemesis Old Paradians hadn’t won a game and were on the bottom of the ladder. There were some surprise wins along the way too, taking the prized scalps of top four sides such as PEGS (twice) and Old Geelong. 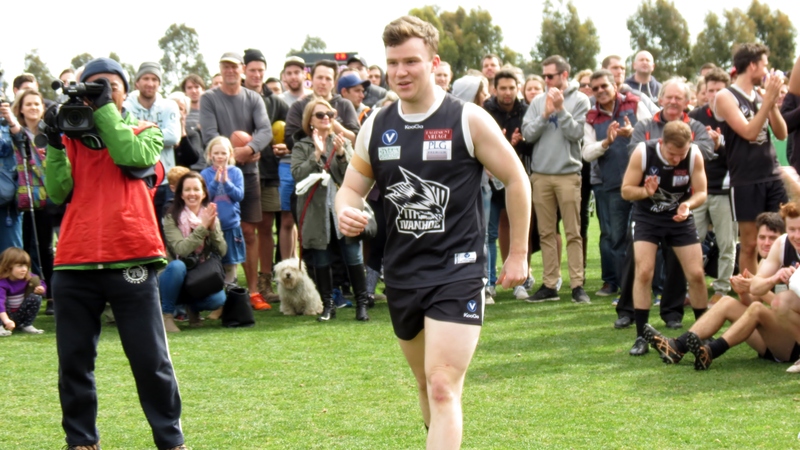 Nathan Valkanis, son of former Hoes coach Doni Valkanis, made his senior debut in the Round 3 win over Old Geelong, booting four goals in a shock 49-point win. 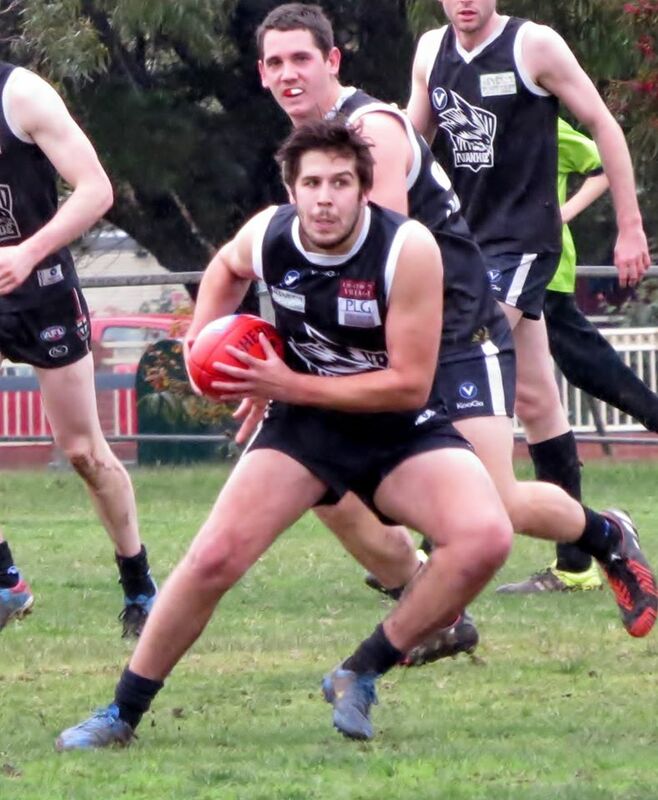 And in the AFL’s indigenous round, Ivanhoe’s first-ever Aboriginal player Brad Stafford made his senior debut against Whitefriars in Round 8. The 65-point win was the seniors’ biggest of the season. The hot streak continued in Round 9 against Old Paradians. The Raiders were desperate for a win and held a three-goal lead at half time in wet conditions at Ford Park. The Hoes turned it around in the second half, scoring seven goals to one. The 23-point win was the Hoes’ fourth in a row and although in sixth spot, the club was outside the top four by percentage only. Making more headlines in the Heidelberg Leader, 31 May 2016. 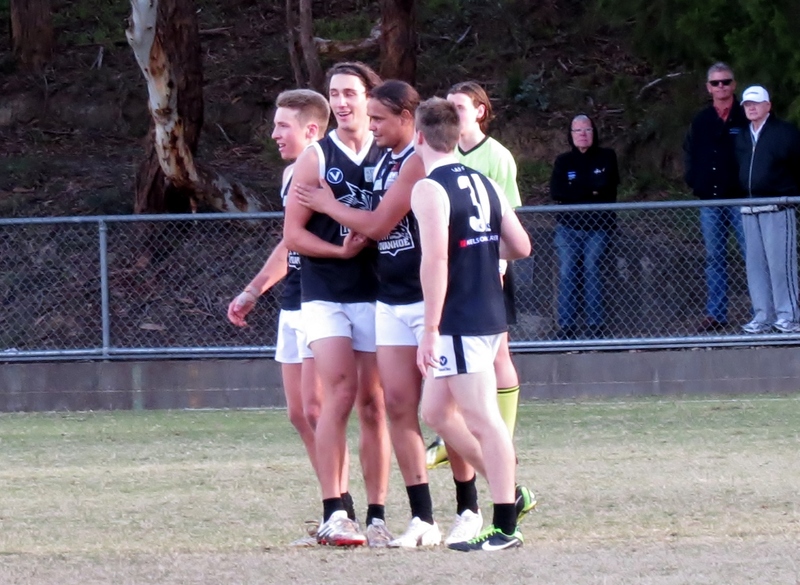 The Round 10 win over top side PEGS at Ford Park on June 18 proved to be the club’s finest of the season. PEGS led at every change and the margin was out to 43 points at one stage in the second quarter. Ruckman Mali Jacobs was sent off during the second term over some minor infraction and when he returned in the third term, he was unstoppable. It was a point the difference at the final change and the Hoes banged on five goals to three to clinch a 14-point win. Jacobs was best afield, along with Liam Jacob and Mitch Lovell (three goals), while Valkanis top scored with five goals. The Hoes moved into fifth spot and were now seen as serious challengers to the top four. 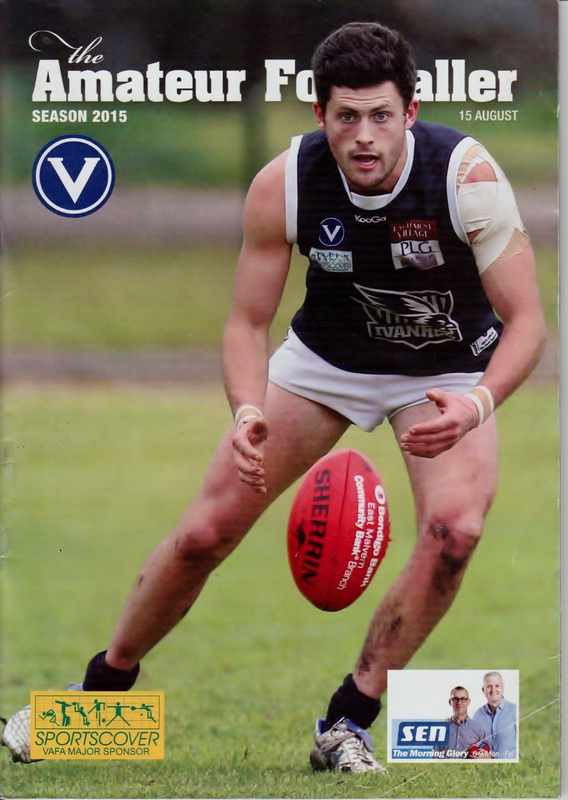 The winning streak came to an end in Round 11 (June 25) when eventual premiers Old Geelong won on a heavy track by 25 points at Como Park. The Hoes struggled to regain any semblance of form from that point on. Player numbers were poor – injuries had taken a toll and others were away overseas or interstate. Coaches Harris and Fort had to fill out the ranks for the game against Prahran-Assumption in Round 12 (July 2). It ended in a 39-point loss. The VAFA had a couple of breaks in winter (June 11 and July 9), ostensibly for rep footy and uni holidays. 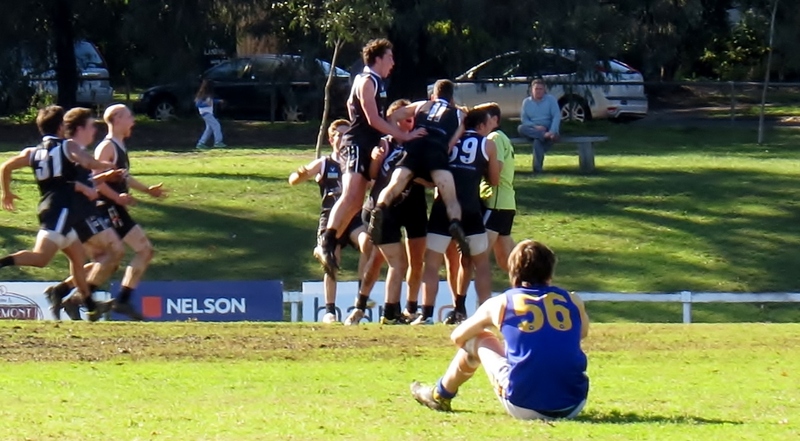 That seniors had another loss to a bottom side Brunswick-NOBSPC by 18 points in Round 13 (July 16). That night, a very successful annual ball was held at Northcote Receptions, which was organised by Stefan Zervides and Karl Kaldawi. On July 18, the club was rocked by news that legend John Miles had died, aged 82. 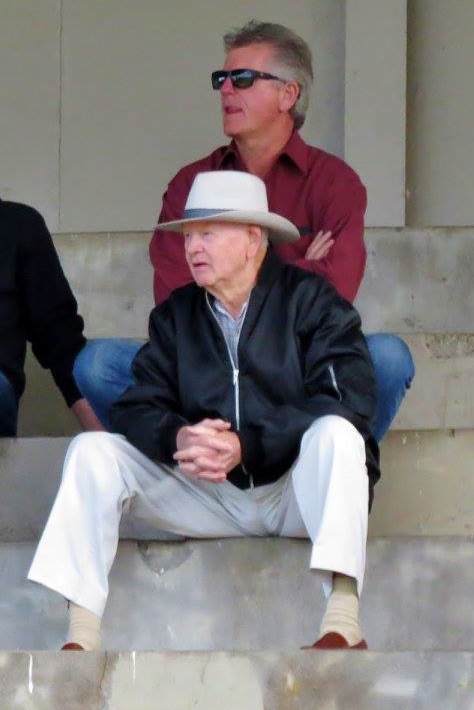 John had joined the Hoes at age 15, played in three premierships, served in every capacity on committee including president and secretary, a VAFA board member (1977-95), an astute and highly successful VAFA rep teams chairman of selectors, a club and VAFA life member. To the younger generation, he was a tireless volunteer who would help out with meals on Thursday nights and even do timekeeping on match days. 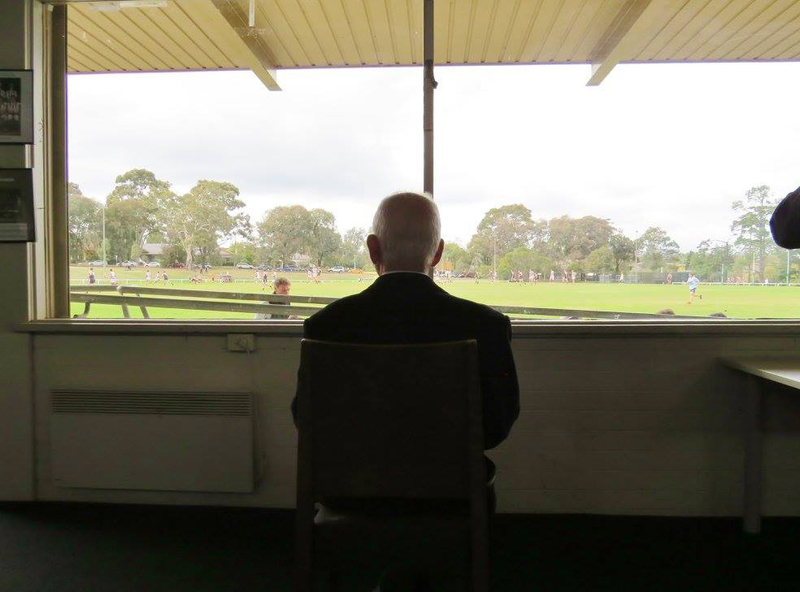 He was the epitomy of amateur footy’s ethos – all for “the love of the game”. The Amateur Footballer published a full-page obituary penned by Phil Skeggs, which included some pars from former VAFA president Richard Evans. Richard revealed that John’s great legacy was the so-called Miles Rule, which allowed Under 19 teams to borrow players from their opponents if they were short of numbers to avoid a forfeit. John’s funeral at Diamond Creek on July 22 was packed with players past and present. The black armbands were worn for John on one of the coldest and wettest days of the season against top side Old Mentonians at Keysborough the next day. This was a bus trip that only the hardiest would make and they all gave it their very best shot. Website editor Ross Toogood even came out of retirement to help make up the numbers in the ressies. Chris Kingsford is chaired off after his 100th game for Ivanhoe Amateurs. Pic: Phil Skeggs. Many players reached key milestones this season. 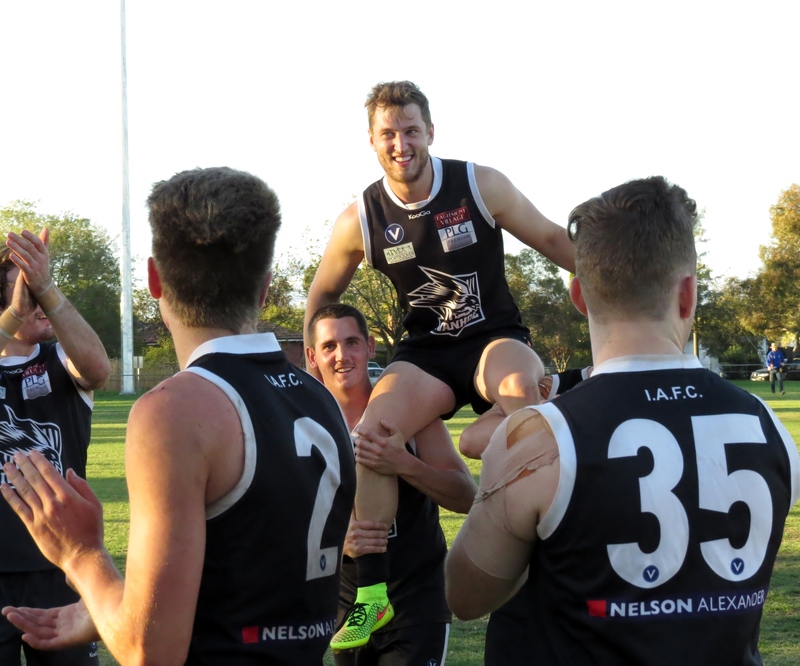 Among them were vice-captain Mali Jacobs, who notched his 100th senior game in Round 12. Mali has not missed a game in three seasons. 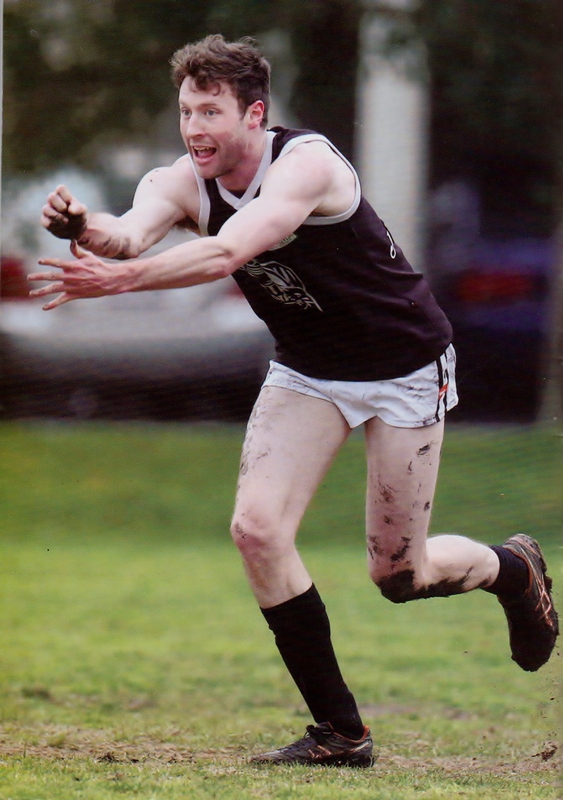 Others included Lachie Roberts, Glenn Francis and Chris Kingsford (100 games), Lew Minney, Conor Mitchell, Justin Harty, Zac Mowat (50 senior games), Ed Robinson, Mitch Rees, Charlie Robinson and Reuben Blackmore-Moore (50 club games). 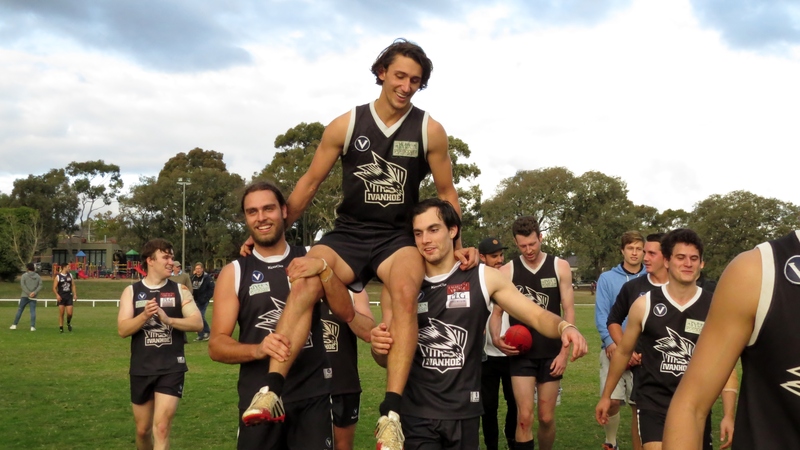 There wasn’t much else to celebrate until Round 17 (August 13) when a 10-goal haul by skipper Mitch Lovell against Whitefriars helped snap a six-game losing streak. The Friars were clinging to a one-point lead at the final change. 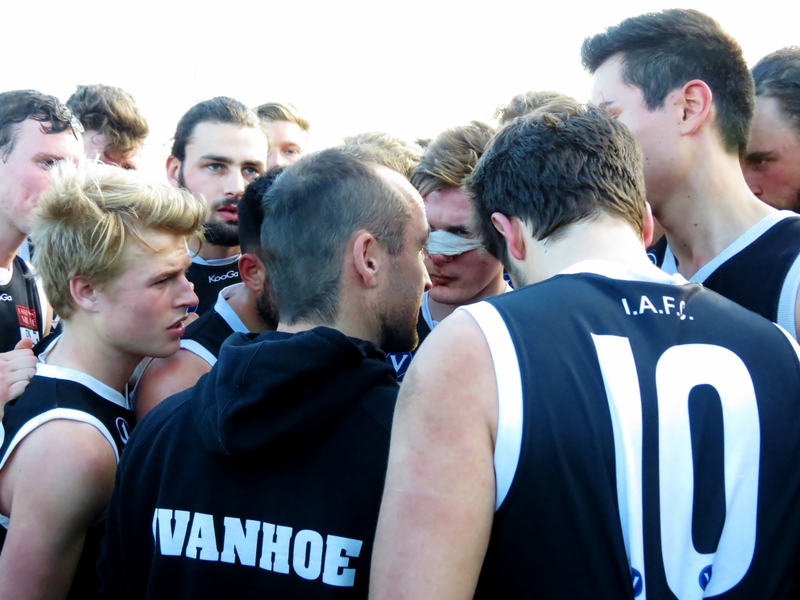 Ivanhoe piled on eight goals in the final term – Lovell booting five. The Hoes won by 31 points, 19.13 to 15.6. Lovell was named best afield, while Reuben Blackmore-Moore, Liam Jacob and Justin Harty also turned in much improved efforts. It was Ivanhoe’s last game at Ford Park. It was also a highlight for the ressies, with so many players available that a few regulars volunteered to be rested. They won by 59 points and Karl Kaldawi also bagged 10 goals. Round 18 against Old Paradians was another tough arm wrestle. The Raiders were desperate to avoid relegation and won by 19 points. But the result wasn’t enough to save them from relegation to D2 because Whitefriars was beaten by another team trying to avoid relegation, Brunswick-NOBSPC. 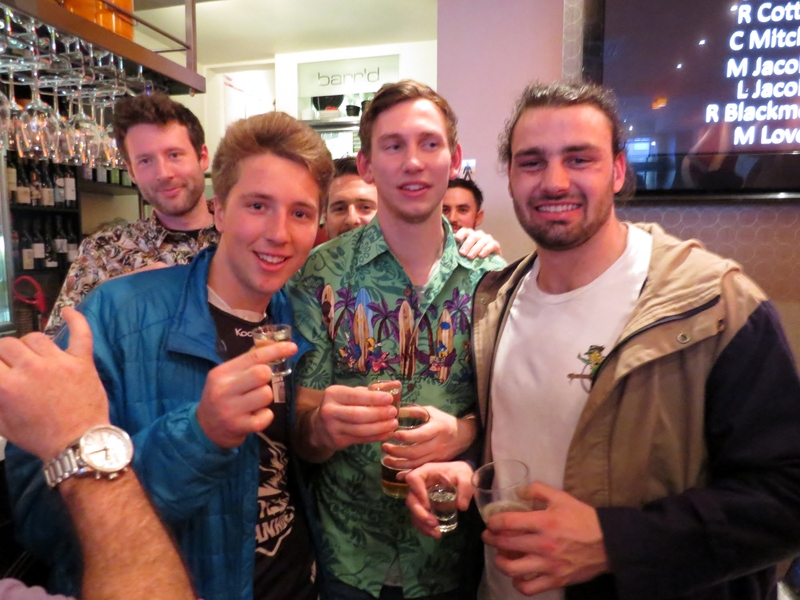 The ressies finished with their biggest win of the year – an 87-point thumping of Old Paradians. This was Paul Harris’s last game as senior coach after three seasons at the helm with his assistants Matt Joyce, Ben Galloway, Adam McBrien and Ryan Fort. At the vote count at Barr’d, Mitch Lovell won his second club B&F. Runners-up were Reuben Blackmore-Moore and Liam Jacob. In the ressies, it was a tight race with Julian Mancuso winning the B&F from Charlie Robinson and Ben Fleming. 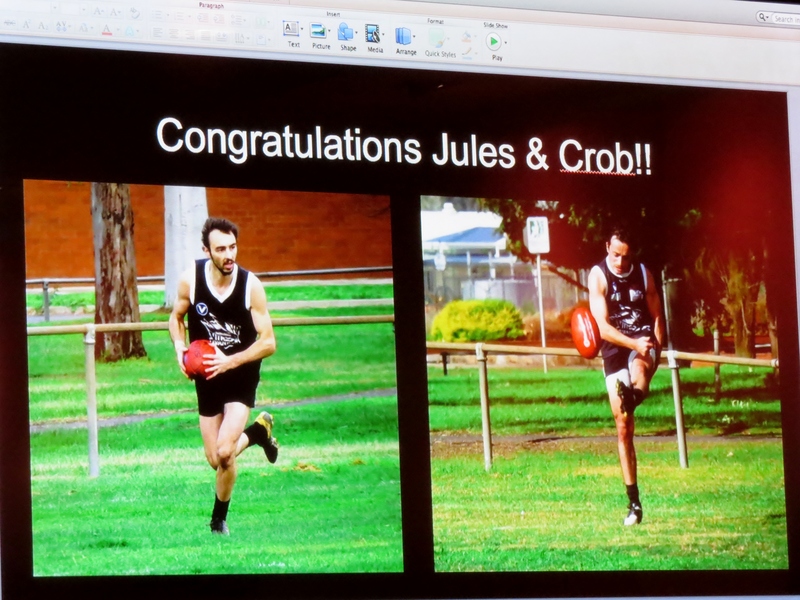 Karl Kalwadi was awarded the John Miles Award for best clubman, whilst Andy Moore (father of Keke and Reuben) was awarded the Tim Robinson award for outstanding service to both Ivanhoe Amateur Football Club and Ivanhoe Junior Football Club. The club advertised all coaching positions, including our first women’s coach. A review was also announced by club president Luke Blackwood to help determine areas for improvement in 2017. Senior vice-captain Stefan Zervides and former senior player Jack McDonald took the initiative in mid-September, announcing plans to form an under-19s team for 2017. The redeveloped clubrooms at Ivanhoe Park are scheduled to be opened in November. Past player Dan Ryan was the architect for the new clubrooms and did a wonderful job. The connections to the club don’t stop there, with the new steel frames for the extension being installed by another past player, Anthony Newbold. The return to Ivanhoe Park in 2017 is being seen as the start of a new era. Bring it on!